The plan was cook an authentic Indian curry from scratch tonight, I've got all the ingredients & my mouth has been watering all day in anticipation however after a visit to see my nephew on his birthday and the children eating McDonald's (I resisted the temptation!) 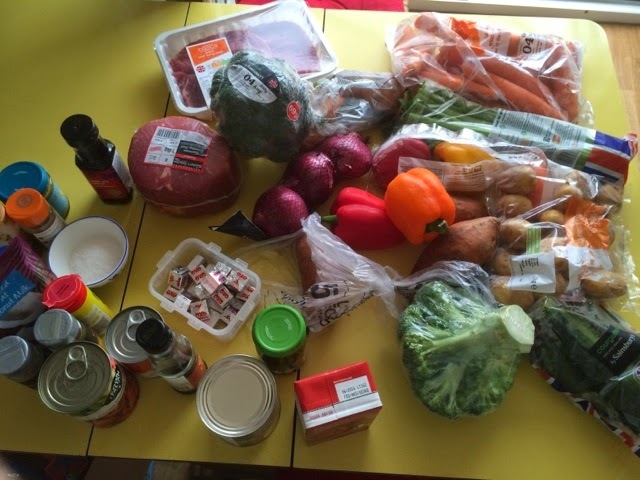 I didn't fancy cooking but still craved curry. 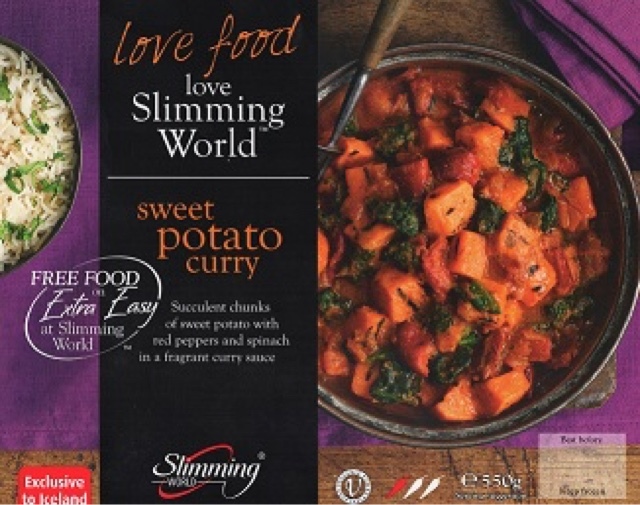 All I can say is thank you Slimming World and Iceland because nestling nicely in my freezer was a sweet potato curry. Happy days! 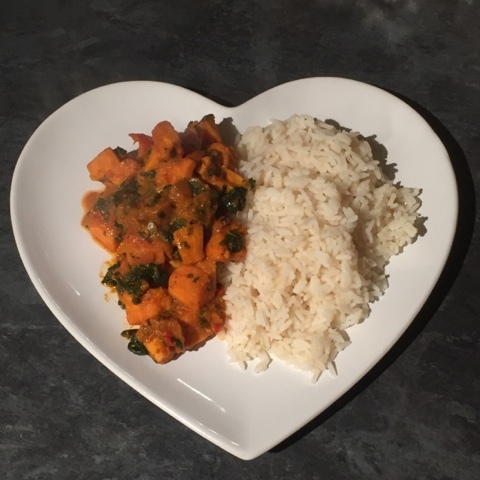 Rustle up some perfect rice, pop curry in microwave for just 11 minutes and ping dinner is done! 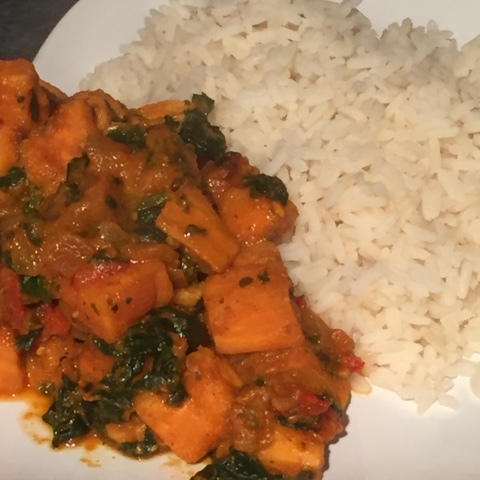 Very tasty curry, not very spicy but jam packed with loads of sweet potatoes & spinach in a delicious sauce. Yum!